Here are five shows that knocked my socks off in 2018. As I walked home from this event, I told my friend Alex that I had no idea how to do it justice. Byrne’s heavily choreographed and highly political set was more broadway performance than rock show. With a completely mobile 11-piece band, and flanked by a pair of androgynous looking backup singers, Byrne sang and danced his way into Asheville music history. Doing a solid dose of older Talking Heads songs separated into their own mini-set, and sandwiched in between another hour and a half of his newer music, Byrne took the sold out crowd on a powerful musical journey. The thing was, this show, this event, provided the support we needed on so many levels. It was a rock show, theater and political rally. It was a mountaintop, a cool breeze, a cold brook. It nourished as it empowered and empowered as it directed. I’m not holding my breath to see this one topped any time soon. No number of viewings of Tank and the Bangas’ Tiny Desk Concert could have prepared us for what we were going to witness live. Part metal, part hip-hop, part spoken-word, this six-piece funk unit was 100 percent original. With their music turned all the way up and their energy levels on high, they transformed the Grey Eagle into one massive party. They wove through a perfectly balanced set list filled with original music and a few choice covers (Kendrick Lamar, Levitate; Nirvana, Smells Like Teen Spirit) before closing out with a ringing encore that I truly thought was going to bring down the walls of the building. Then, after mingling with the audience and signing autographs, they were gone, while the joy and energy they brought lingered. Town Mountain has been rocking these mountains for well over a decade, the majority of that time as a traditional bluegrass band. Over the last couple of years, as they’ve changed their line-up and instrumentation, they’ve begun to shed that grass vibe. This show at The Orange Peel felt like a coming out party. Adding a drummer, returning to Bobby Britt on the fiddle, and adding Zachary Smith on the bass had the effect of pushing them out their traditional bluegrass format and into a much heavier, almost outlaw country-type sound. And good golly, can you dance to it. I don’t think I’ve ever witnessed a square dance quite on the level of this show. Even those all the way in front were spinning and ducking and twirling away from the opening notes until the end of the encore. Even more impressively, Town Mountain played the day after Greensky Bluegrass had rocked the Salvage Station. Town Mountain made us all forget about the festivities from the night before. On point musically and clearly feeling comfortable in their home-town, they jabbered at the audience, jammed out quite a few of their songs, and made a statement about just exactly what to expect from them going forward. If they bring that energy and that technical expertise to every show they play in 2019, I have a feeling they will be on the tip of the tongue of music fans nationwide. Part rock show, part entry-level class on music theory, this show didn’t just exceed my expectations, it made me look stupid for trying to have expectations in the first place. I have never in my life seen someone look so comfortable behind a microphone. I have also never seen someone so weird connect so directly to an audience of 550 people. The show was interactive, theatrical and somehow quite educational. He taught us weird Peruvian folk music time signatures, explained what the word “chops” means in a musical sense, and had his drummer show us how to “tame the hump.” He ran around the stage like a crazy person and told jokes that absolutely no one found funny. And he did all of this without losing our attention for a minute. On top of all of that, he makes some pretty damn good music as well. 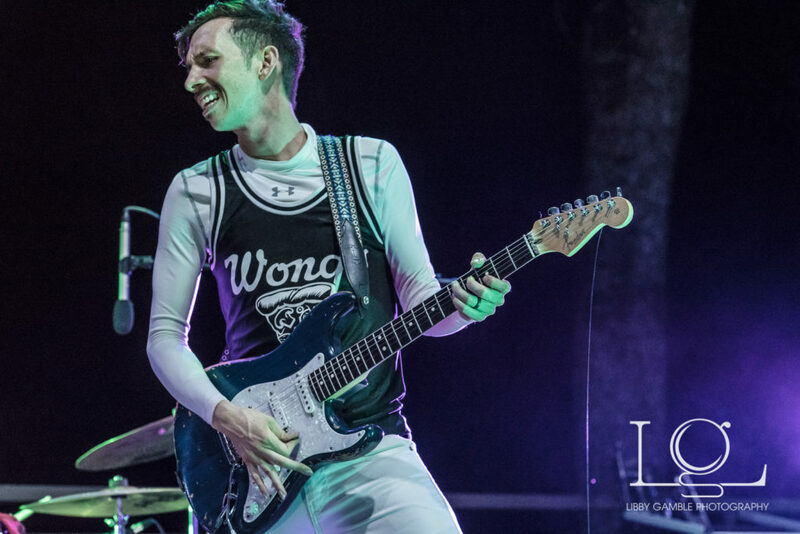 So if you get a chance to check out Cory Wong in 2019, don’t bother with expectations. Just bring yourself and be ready to have a helluva good time. That’s from my review of this show for Live Music Daily (available here). The superlatives only got stronger from there. I had seen Fruition open for Greensky at Salvage Station in 2017 and had seen them play festival sets, but I had no idea what kind of energy they would bring to their own show. Capturing the crowd from start to finish, this was one of those shows that made you want to quit smoking just so you wouldn’t miss any music. Furthermore, their collaboration with local fiddler (and soon to be proud papa) Zebulon Bowles was a real treat for his hometown fans. So there you have it, my top five shows of 2018. 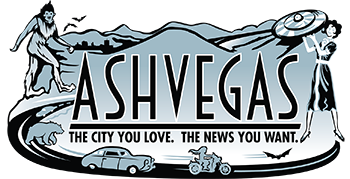 But let’s be honest – there were so many great events in Asheville and Western North Carolina that any list is only to be scratching the surface. What were your top shows for 2018? Please let me know in the comments. It may help us decide what to cover in 2019! Caleb Calhoun is an author and poet living in Asheville, North Carolina. You can reach him at caleb.calhoun@gmail.com. Primus was a decent show at Highland but way too short. The Toubab Krewe show in the Ellington Underground in April was a trip. 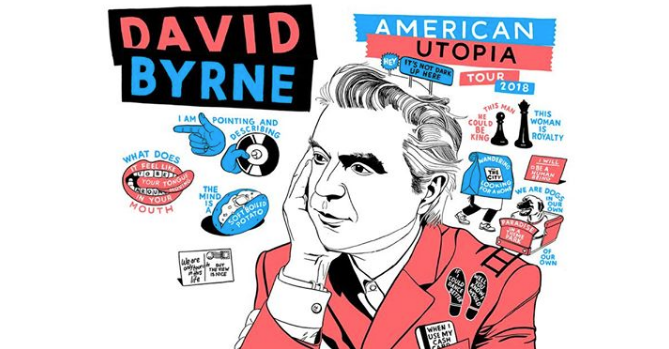 YES to David Byrne!! Amazing!!! We are so lucky to get so many killer shows here in this little town of ours ? ?